Archer Engineering, a leading manufacturer of custom machined parts for over 60 years, offers precision turning services. 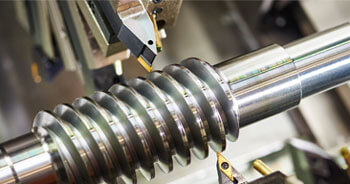 We provide turnkey precision machining services to the industrial OEM and replacement part markets. Our automated CNC turning centers provide the capability to efficiently manufacture high precision components that meet the most exact specifications and the tightest tolerances. Our turnkey machining services include CNC machining, threading, boring, counter-boring, drilling, profiling, reaming and tapping. We have earned its reputation for manufacturing the highest quality custom machined parts for our customers and is committed to providing each customer with a custom solution for their application. Call today to see how we can help you. Turning is a process where a piece of metal is held in a clamping device and rotates while under power. 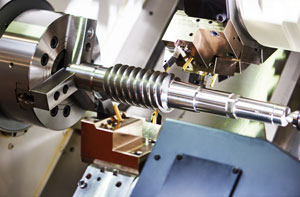 CNC turning allows for more versatility over conventional turning by eliminating the need for form tools.